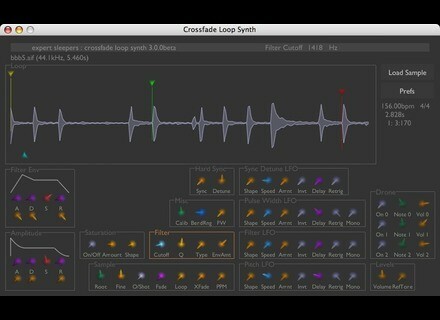 Crossfade Loop Synth new licenses and upgrades will also be reduced in price until the end of February. Added next/previous sample buttons, for quickly auditioning multiple samples in a folder on disk. Crossfade Loop Synth v2: $1 (was $10). 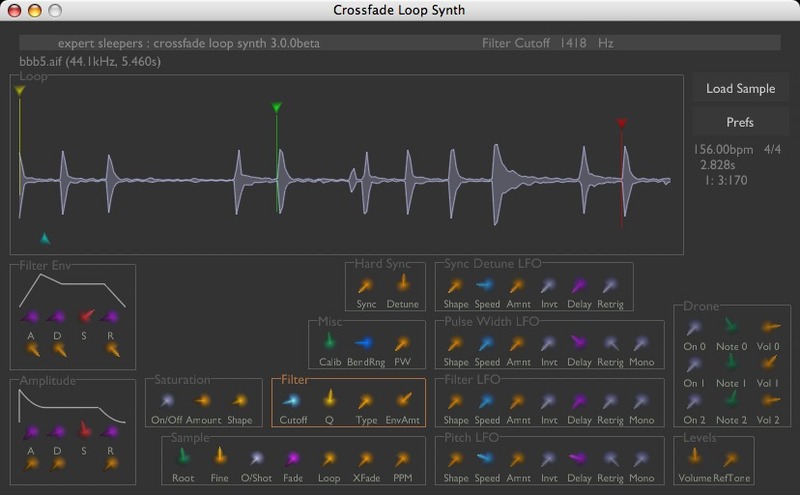 Crossfade Loop Synth v3: $29 (was $49). Crossfade Loop Synth v3 upgrade from v2: $28 (was $39). To receive the discount, customers must enter the coupon codes (found on the Expert Sleepers website) when purchasing. SoundsDivine Releases 4 Patch Banks SoundsDivine has announced the release of Patch Banks for Minimonsta, Vanguard, Omnisphere and PSP84, with a bank for PSP Nitro coming soon. Jazz EZX Expansion For EZdrummer Toontrack has announced that it has begun shipping the recently announced Jazz EZX expansion for EZdrummer. Rosegarden Updated to v1.7.3 Rosegarden has been updated to version 1.7.3 - Primarily a bug fix/maintenance release.